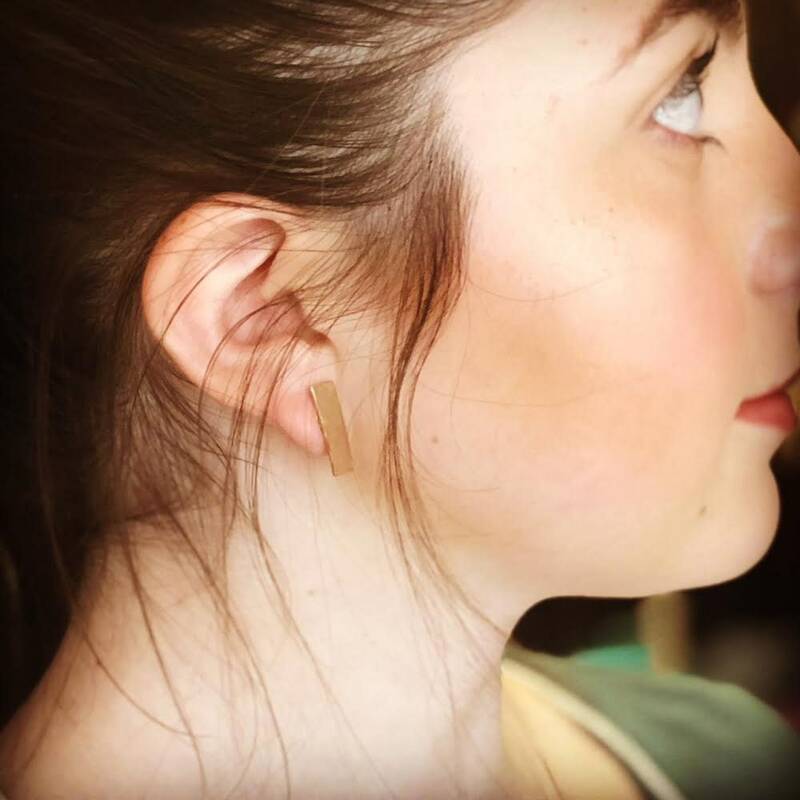 Handcrafted geometric shape bronze Stud earrings. Earrings measure approximately 3/4 inches long. Studs are nickle free and surgical steel.